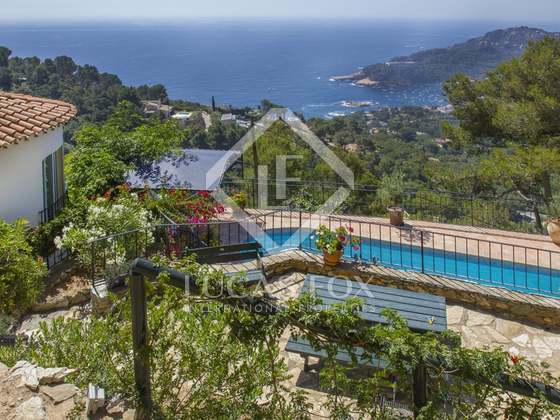 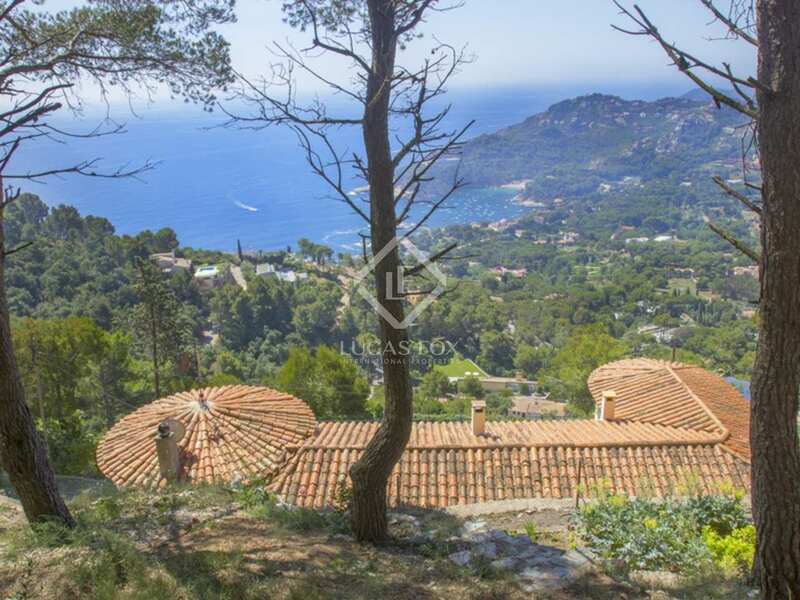 This beautiful 4-bedroom Costa Brava villa for sale is located on a hillside plot in the sought-after residential area of Ses Costes in Aiguablava with stunning, panoramic sea views over the bay and across the Mediterrenean coastline. 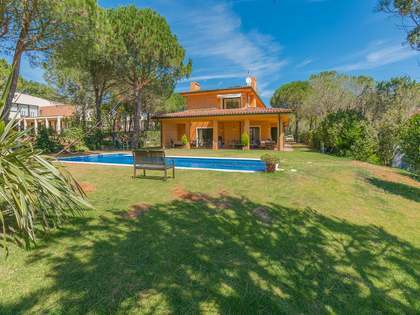 The property is located at the end of a peaceful no-through road, offering complete tranquility and privacy with no passing traffic. 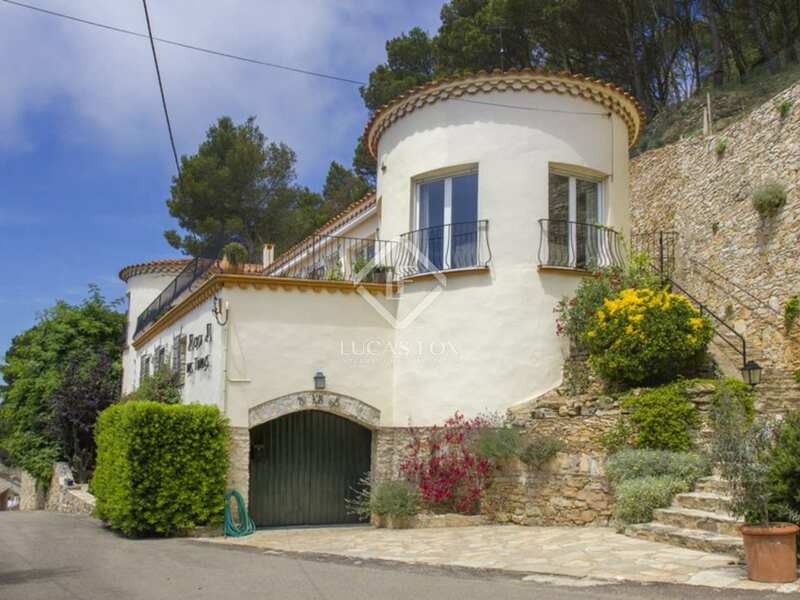 The villa is just a 5-minute drive from the centre of the exclusive hilltop town of Begur, 3-minutes by car to the nearest supermarket and 3-minutes to the nearest beach. 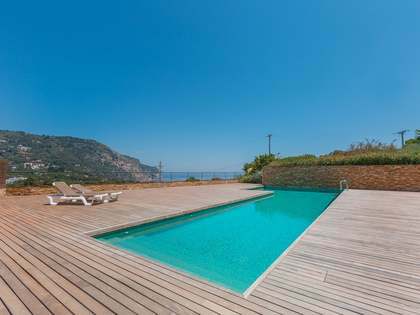 The south-east facing plot is completely protected from the prevailing north wind and enjoys day-long sunshine. 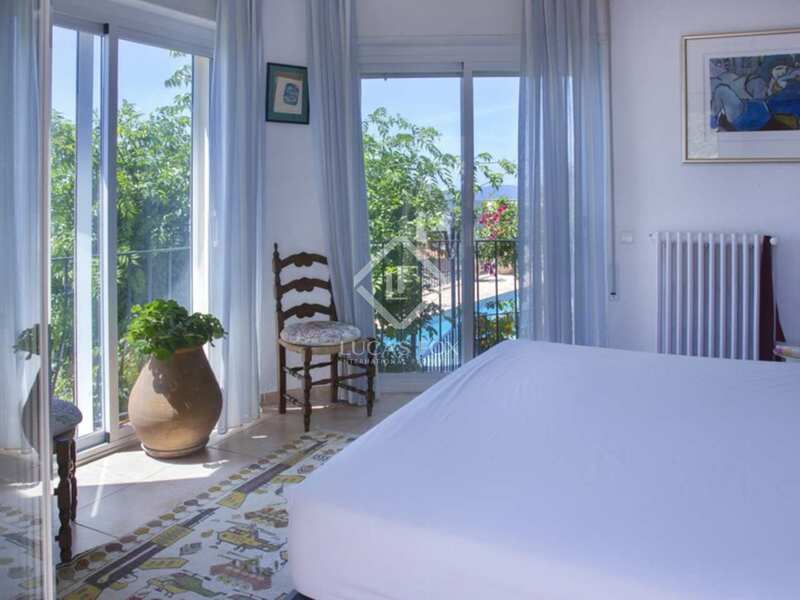 The villa was originally constructed in 1965 and was fully renovated by its current owners in 2001. 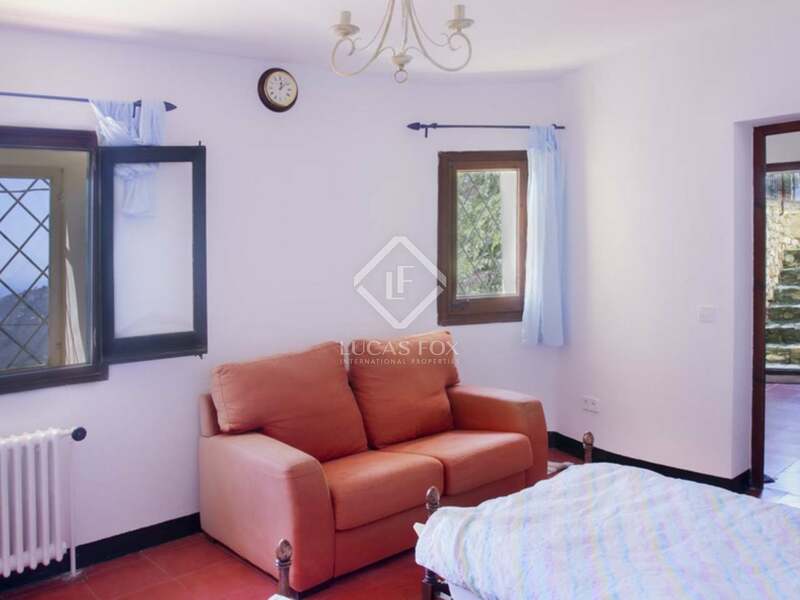 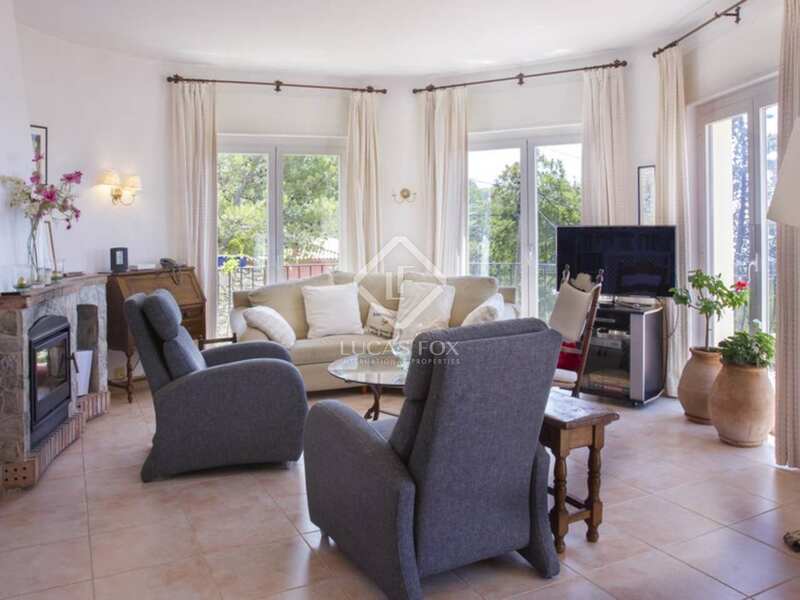 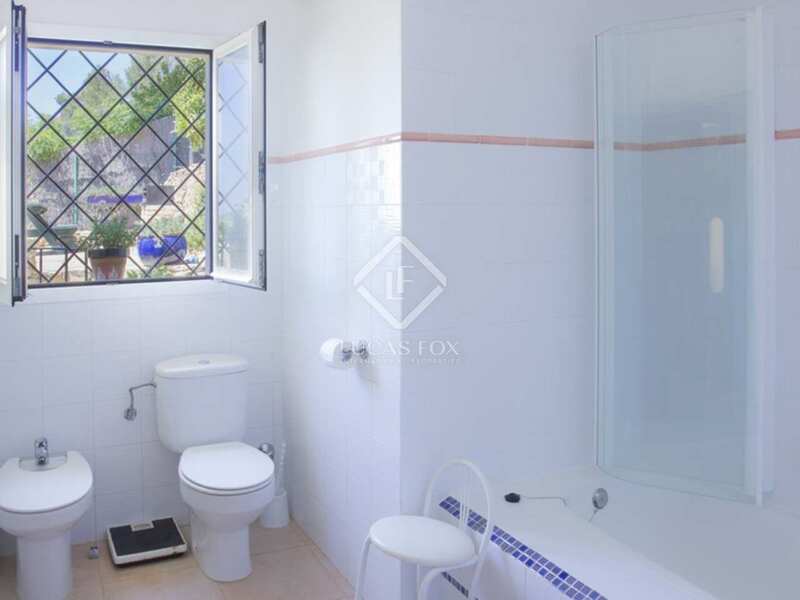 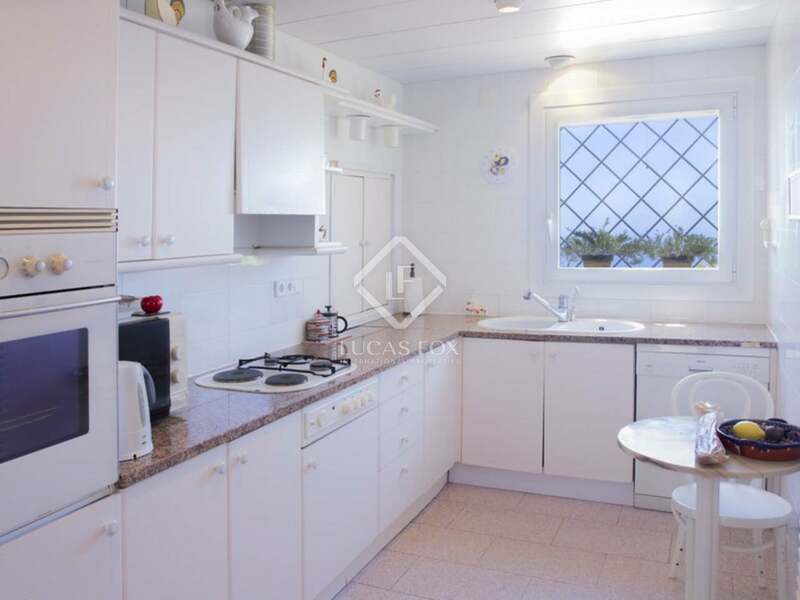 The property offers approximately 310m2 of living space across three levels, including a large terrace of approximately 60m2 and a spacious garage. 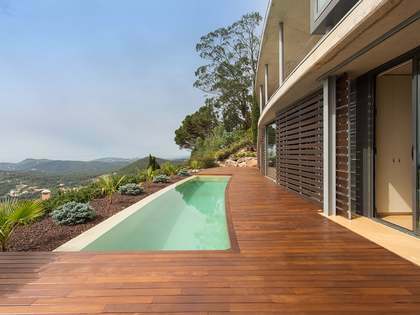 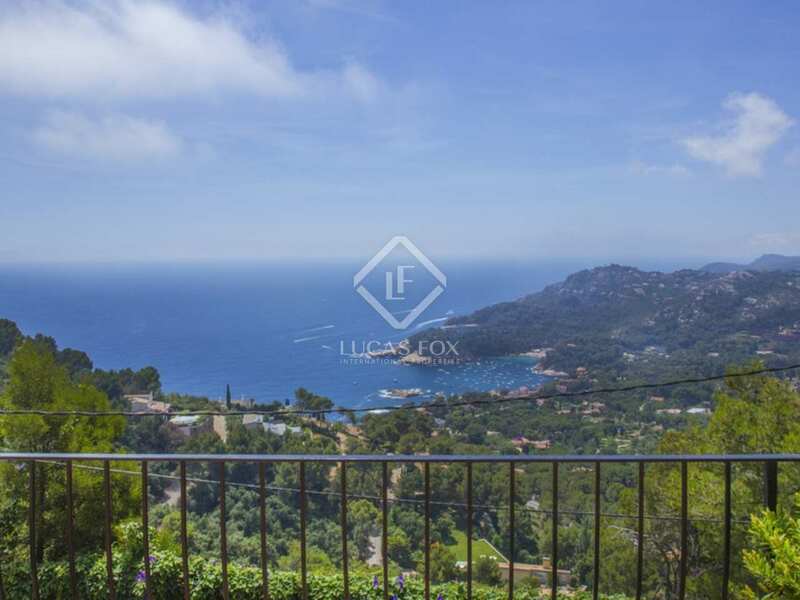 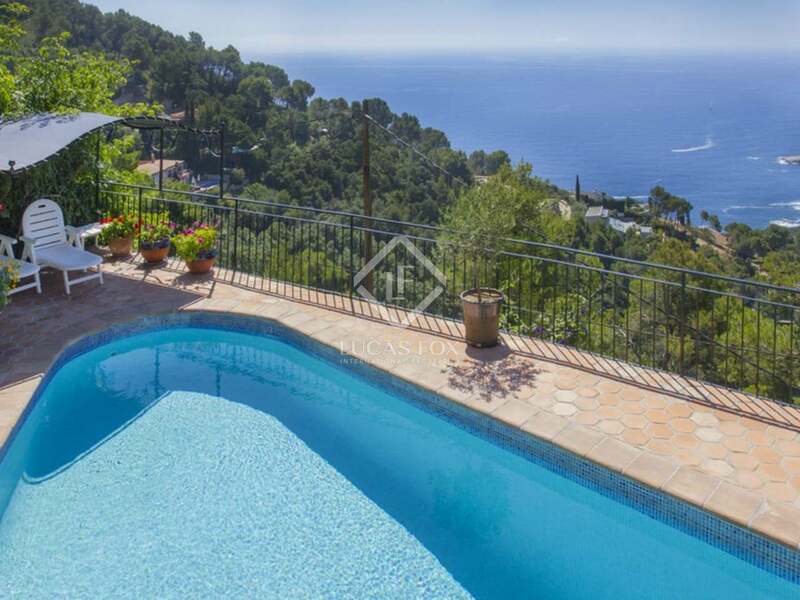 The property also boasts a heated swimming pool (25m2), a BBQ area and a 'mirador' picnic area amongst the pines towards the top of the plot, offering far-reaching views down the coast. This is a beautiful property in a superb location with some of the best views of the entire Costa Brava. 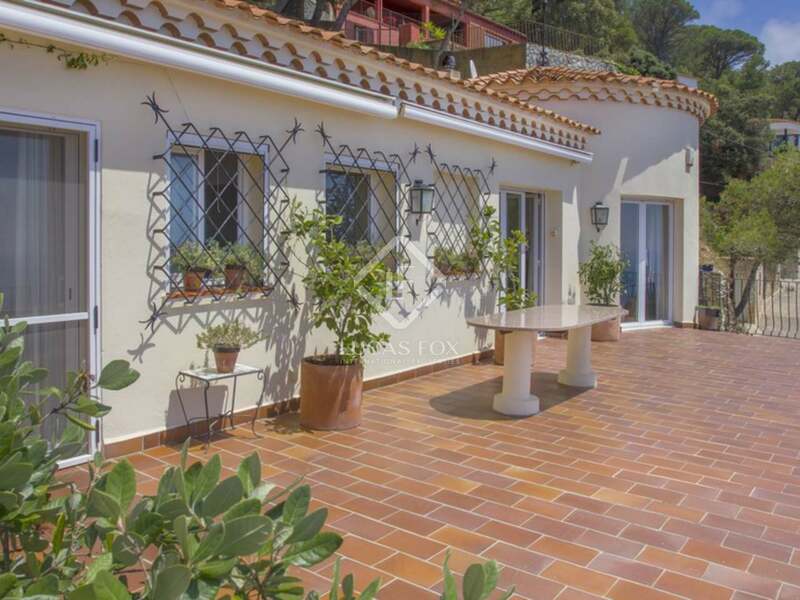 It would make a wonderful family holiday home (with superb rental potential) or a lovely primary residence. 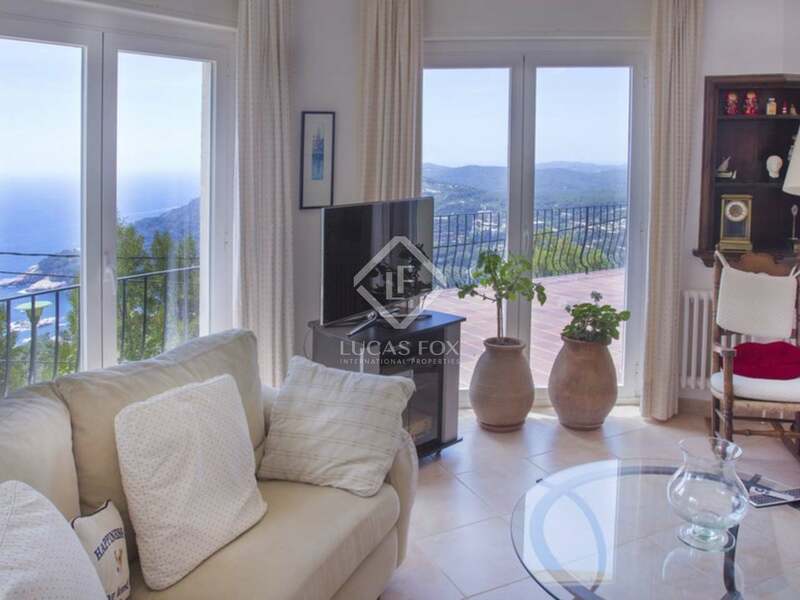 View more Aiguablava villas for sale. 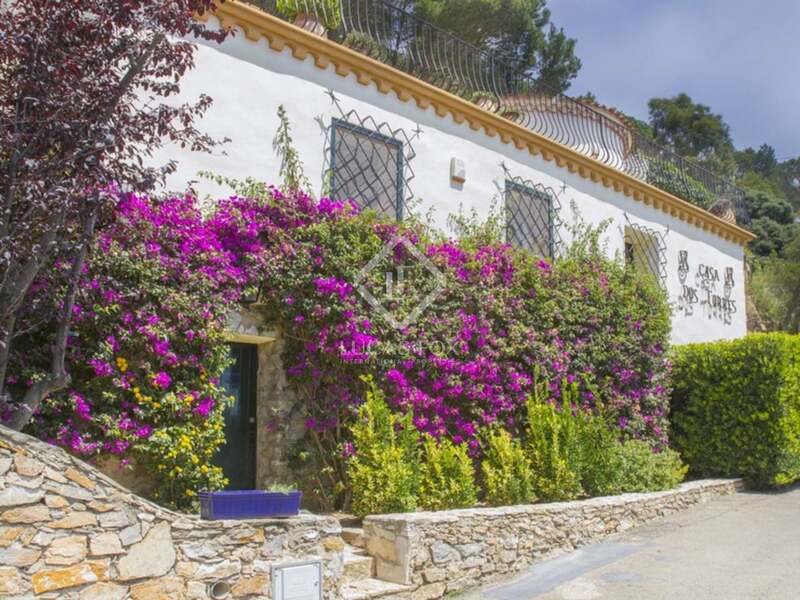 Aiguablava is one of the most exclusive and sought-after areas of the Costa Brava. 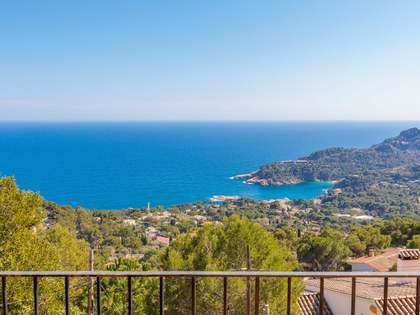 With a southerly orientation, properties in the Ses Costes estate are protected from the northerly winds and the area enjoys a unique micro climate throughout the year with temperatures up to 3 - 4 degrees higher than other areas around Begur. 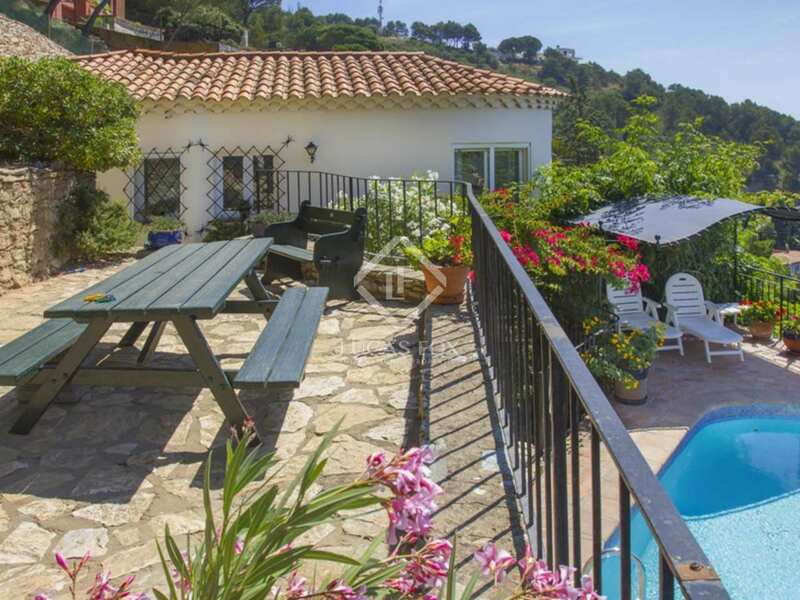 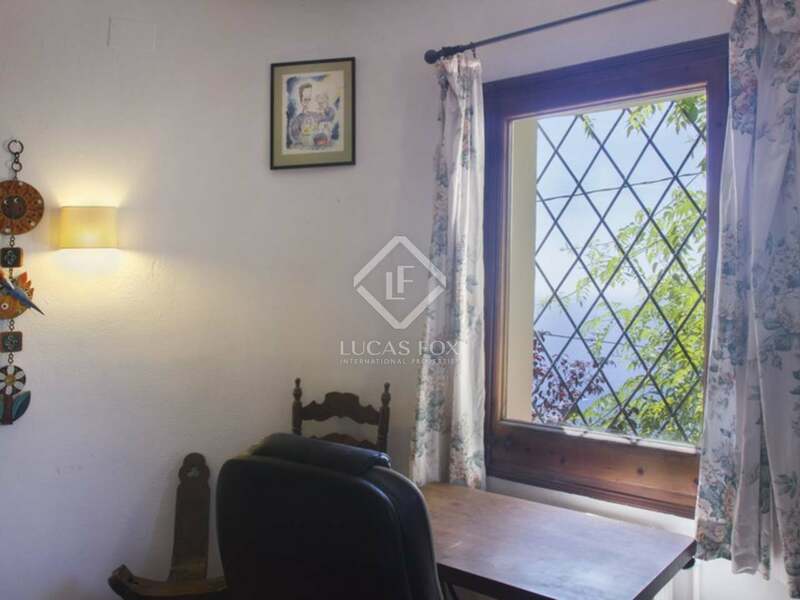 The house is within easy reach of the shops, bars and restaurants of Begur and less than a five minute drive from some of the most beautiful bays of the Costa Brava. 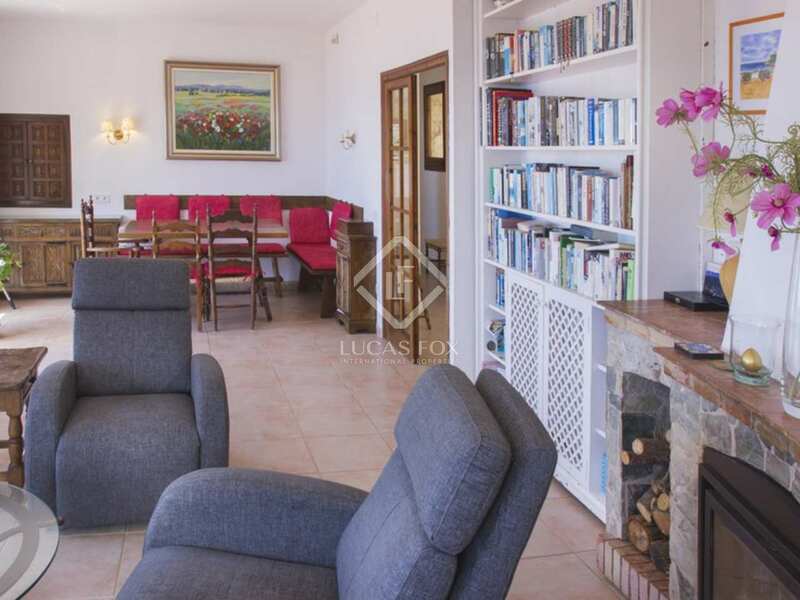 The property is also within 10km of three excellent 18-hole golf courses. 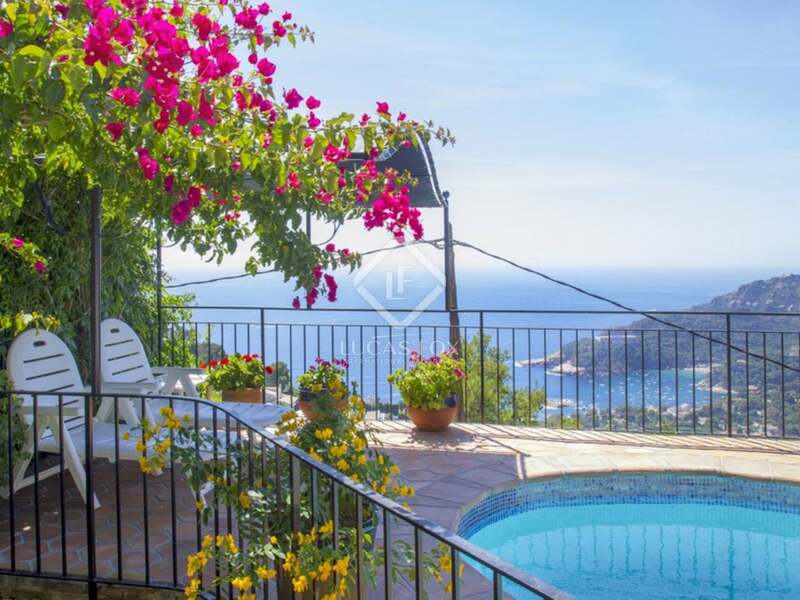 Indeed there is a wide selection of both inland and water-based activities in this area, including scuba diving, sea kayaking, sailing, windsurfing, cycling, horseriding, climbing and hiking. 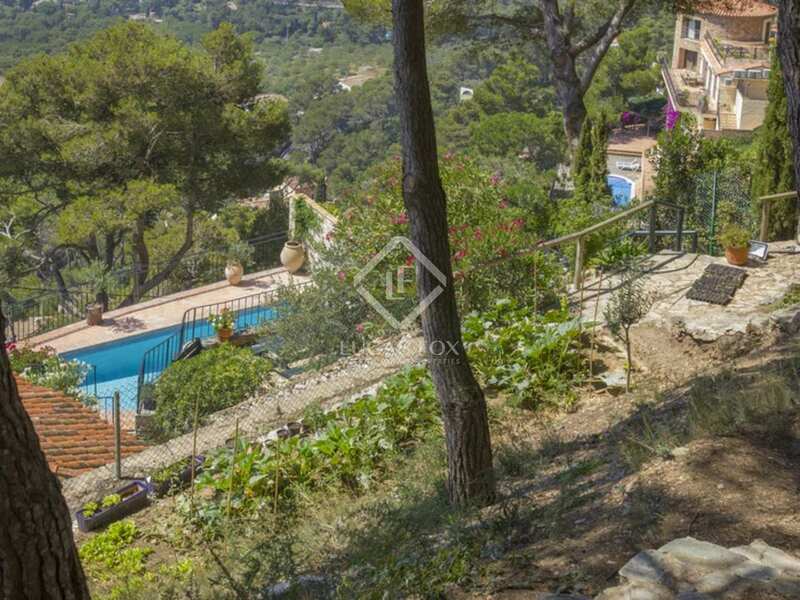 The nearest ski slopes of the Pyrenees are just a 1hr 25min drive away. 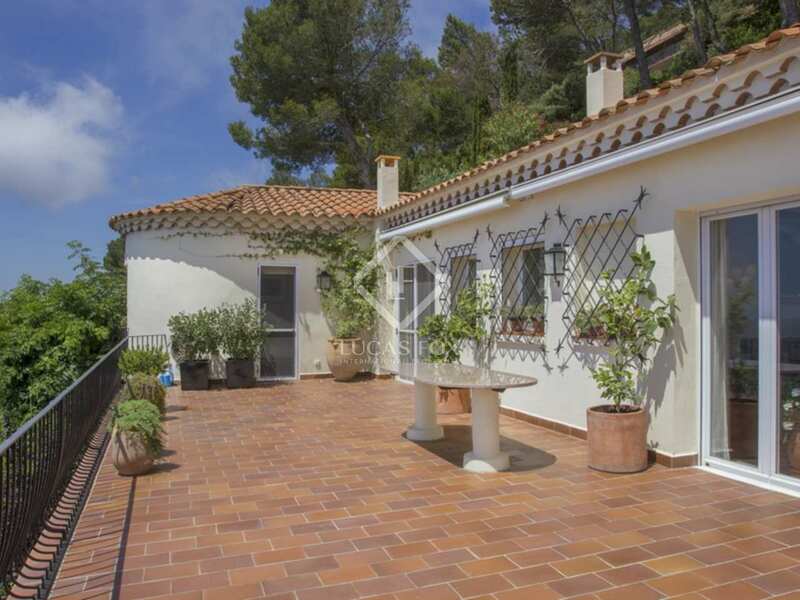 View more Aiguablava property to buy.